For the gin they wanted to create the concept was simple – a classic gin with enhanced flavours to create a proper gin, complimented by mixers and garnish, not defined by them. 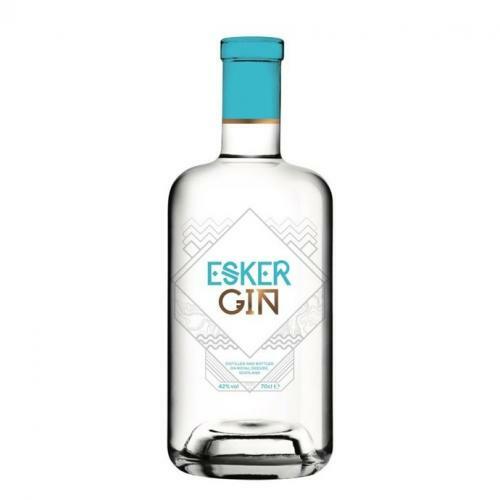 The result is a tasty tipple which features a selection of botanicals including juniper, pink peppercorn, cassia, heather, rosehip, milk thistle and silver birch sap, among others. Our suggestion is that Esker gin is best served over ice with a tonic of your choice, then finished off with a twist of orange zest. Then enjoy. Distinctive juniper, highland heather and silver birth with a hint of warming spice to really make things interesting! Smooth fruity notes soon enter the mix to give a sophisticated depth of flavours and a citrus aroma.